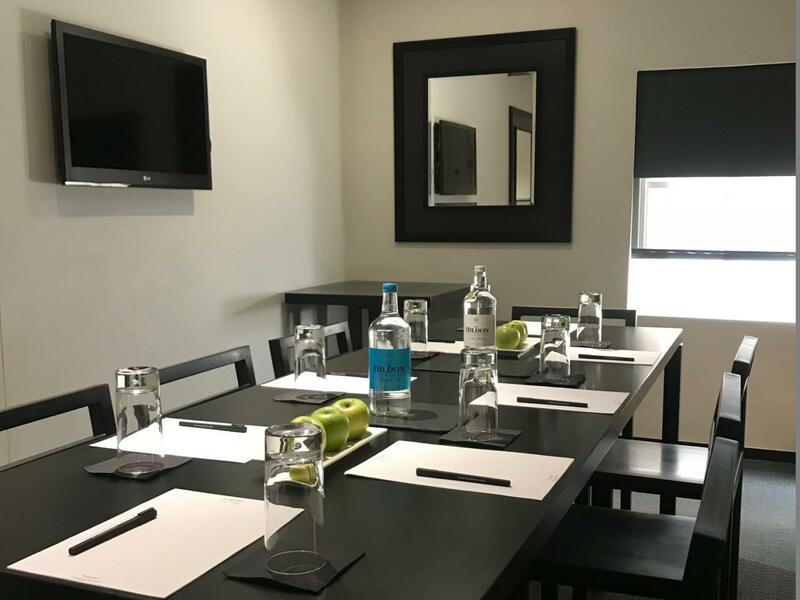 By popular request we have created a meeting space at La Suite West in minimalist designed surroundings with natural daylight. We have Café Forty One to cater for your refreshment and dining requirements during your meeting, in the restaurant or weather permitting al fresco for break-out sessions, Lunch or Afternoon Tea on our private Terrace. We are perfectly positioned on a quiet tree lined street on the edge of London's magnificent Hyde Park and close to the West End and public transport links - map. Room 26 has a TV Connection via HDMI for lap top presentations and free WiFi. Queensway Tube Station on the Central Line is a 2 minute walk. Bayswater Tube Station on the District & Circle Line is a 1 minute walk. Paddington Station for mainline train services is a 10 minute walk with access to the Heathrow Express to Heathrow Airport. We are happy to be able to offer guests vouchers for 15% off parking at a car park minutes from the hotel. There is limited parking outside of the hotel on parking meters. Tea and coffee charged as taken. A Vegan Menu is available from Café Forty One for Breakfast, All-day Desserts, Lunch and Afternoon Tea. Full Seasonal menus.